I recently had the pleasure of assisting two young home buyers with the purchase of their home. Like many other couples on the quest to buy a 3 bedroom home on a nice block of land close to amenities in the sub-$400K price bracket, they had turned over their options in the Dandenongs and the outer east. They had even considered regional areas. Where they hadn’t cast their focus is, in my opinion, a hidden gem… Frankston. The once stereotyped southern ‘end of the line’ city by the bay has come a long way and offers so much to young buyers, families starting out, and investors. Frankston is made up of quite a few patches, from Frankston city to Oliver’s Hill, Frankston North to Karingal, Mount Erin to Long Island and Frankston South, a more recent patch that has risen in popularity and now casts a shadow on its neighbouring Mt Eliza. The blocks are cut larger, the rural lifestyle shines through and the calibre of houses is quite inspiring. So what makes Frankston so deserving of a closer look for those who are looking for an affordable alternative? Here are five reasons Frankston shouldn’t be sneezed upon…. A 3 bedroom house such as this beauty in Lawn Court (Karingal) is priced in the mid $300,000s. This lovingly presented home cost my buyers $352,500. The street is quiet, the homes are manicured and the subtly-changing demographic is very interesting. Older couples who are now downsizing have raised their families and enjoyed the area. Now they are moving on and younger couples are seizing all that Frankston has to offer and moving in. This gorgeous home has been updated during its ownership with the sellers and has an incredible back deck perfect for entertaining, a modernised kitchen, and all of the lovely creature comforts like ducted heating, cooling and fans in every bedroom. 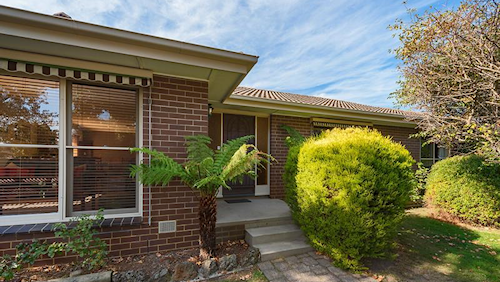 It still retains some of its original 80s character such as the slate flooring, which is so evident in many of these brick homes in the Karingal patch. When you consider the alternative options available for house and land packages in the mid $300,000 range, they are very limited and travel times to the city are over an hour. On Eastlink, the travel times from Frankston to the city are around 40 to 45 minutes. The amenities are great. The railway station is less than 1.5kms away, schools range from private to Catholic to Christian to public, residents can chose from either Frankston’s Bayside shopping centre or Karingal’s Centro shopping centre (both have ample parking), and arterials to both the Peninsula and the city (Eastlink and the recently completed Peninsula Link) are within a two minute drive. Nobody can argue about the convenience the area offers to locals. This area is also within walking distance to John Paul College – a premium Catholic secondary school which fares well in sports, academia and the arts. John Paul is a mere 300m walk from Lawn Court and Karingal Primary school is less than 1km away. There are no main roads to cross. There are a lot of entertainment possibilities. The lovely redeveloped beachfront precinct boasts dining options, superb walks and an easy stroll to the shopping centre. The arts centre is world-class and hosts many fantastic shows, plays and acts, and some of the best dining is in this very town. The Kananook Boathouse serves a memorable and very special meal. Head chef Cameron Taylor makes sure patrons return. Frankston has also got a name for offering some great Thai restaurants including Siam, Red Pepper and Lime Leaf. As an investment option, Frankston offers fabulous yields and ongoing tenants. It has produced long-term, consistent growth. I have held two investments in Frankston since 2005 and I still have the same easy-going tenants. 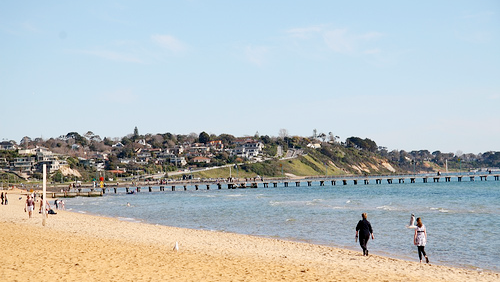 Not only is the suburb located at the gateway to the stunning Mornington Peninsula, but it offers so many opportunities in terms of lifestyle and amenities. Most impressively, it does so for prices like $352,500. I think you’ll agree Frankston is worth a second look. That’s a great article Catherine. I hope it helps potential buyers how much Frankston has to offer!